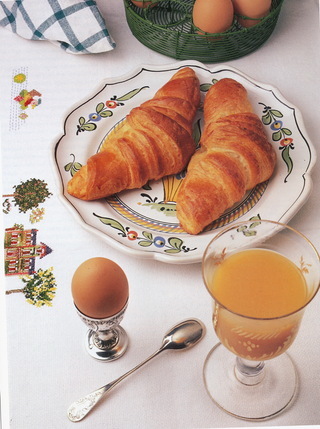 JOIN ME IN LA BELLE FRANCE! Linda Dannenberg is co-author, with Alain Ducasse, of DUCASSE: FLAVORS OF FRANCE, published by Artisan Books. DUCASSE: FLAVORS OF FRANCE was nominated for a James Beard award and is the winner of the Versailles International Cookbook award. In 2018 the French Country Diary, published annually by Abrams Books, celebrates its 30th anniversary. A much-loved engagement calendar with fans around the world, the Diary, packaged in a collectible slipcase with a linen-textured hard-cover interior, features the best of French art de vivre, from antique farmhouses, private gardens, and outdoor markets, to destination hotels and memorable bistros. Superb fabric designs from Les Olivades, the venerable Provençal textiles firm in Saint-Etienne-du-Grès, adorn the covers and enhance many interior pages. Photographs by distinguished French decorative arts photographer, Guillaume de Laubier, illuminate each weekly spread. FRENCH COUNTRY KITCHENS (Clarkson Potter, 2008), offers intimate entrée into the kitchens of more than sixty homes throughout the French countryside. For anyone designing a kitchen, or for those armchair travelers dreaming of spending a long, leisurely sojourn in a beautiful French home, this book offers ample inspiration. 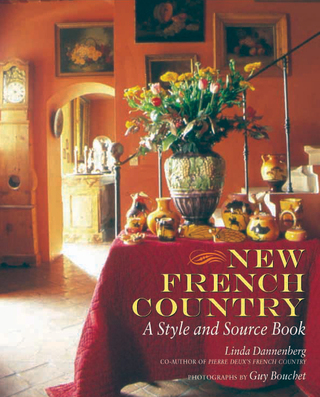 NEW FRENCH COUNTRY, published in 2005, is a lavish style and source book featuring the houses, colors, fabrics, furniture and tiles of Provence, with an extensive guide to suppliers in the United States and France. Signed copies available directly from the author. 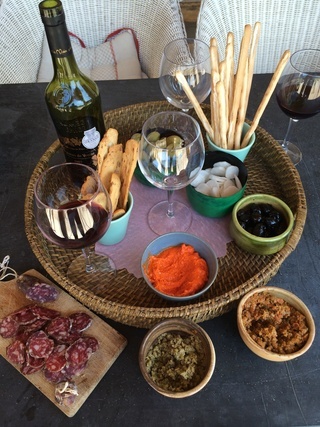 "I love exploring the shops along the narrow, winding streets of the Ile-Saint-Louis, then crossing the Seine to the Right Bank over the Pont Louis-Philippe for a restorative bistro lunch at the timeless Chez Julien." A post-grad year working in Paris at a couture textiles firm inspired my life-long passion for France, and determined my eventual career path. I fell in love with bistros, with the cafés on every corner, with the galleries on the rue de Seine, with the smell of Gauloises in the air, even with the Paris Métro. When my Gallic year was over, I moved to New York, beginning my professional media career at CBS News where I worked as a researcher in the network's News Library. I later signed on as a feature writer and Books Editor at Family Circle magazine, leaving five years later to join Working Woman as the magazine's founding Features Editor. The jobs were wonderful and fulfilling, but the Lorelei call of France eventually proved impossible to resist. I returned to France to author my first book, The Paris Way of Beauty, published by Simon & Schuster. More than a dozen books followed. Among my other French-inspired titles are the quartet of iconic Pierre Deux French Country books, including Pierre Deux's French Country, Pierre Deux's Brittany, and Paris Country; French Country Kitchens; New French Country; Paris Bistro Cooking, Paris Boulangerie-Pâtisserie (nominated for a Julia Child Cookbook of the Year award); and Ducasse: Flavors of France (nominated for a James Beard Award and winner of the Versailles International Cookbook award). Among my current projects is the much-loved FRENCH COUNTRY DIARY. Prized as an annual album of contemporary French style, the Diary is a weekly engagement calendar showcasing sumptuous interior design, lush gardens, extraordinary landscapes, and poetic art de vivre. The 2018 edition celebrates the Diary's 30th anniversary. Beautifully produced by Abrams Books, and containing a wealth of decorating and travel information, the Diary attracts a world-wide audience; fans collect each edition year after year, lining their bookshelves with the vibrant, fabric-patterned slipcases. The Diary, filled with travel, dining and design tips, is used as much for decorating ideas and planning French travel itineraries as it is for recording important dates throughout the year. My articles on design, travel and cuisine have appeared in many publications, including Town & Country, The Los Angeles Times, Travel & Leisure, House Beautiful, Elle, Harper's Bazaar, The New York Times and Departures. I speak as well as write, and have lectured on French style and design at the Cooper-Hewitt Museum; the Katonah Museum of Art, and the Philadelphia Design Center. An intimate walled garden in the Luberon village of Goult.